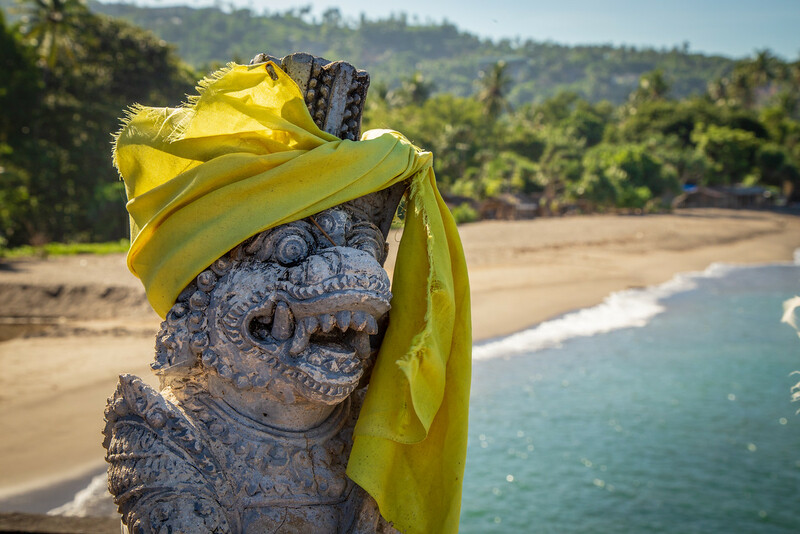 Batu Bolong Temple is a stunning Hindu temple located on top of a volcanic outcrop into the Balinese Sea on the south end of Senggigi Beach on Lombok Island, Indonesia. One clear days, you will have a fantastic view of Mount Agung on Bali across the water. 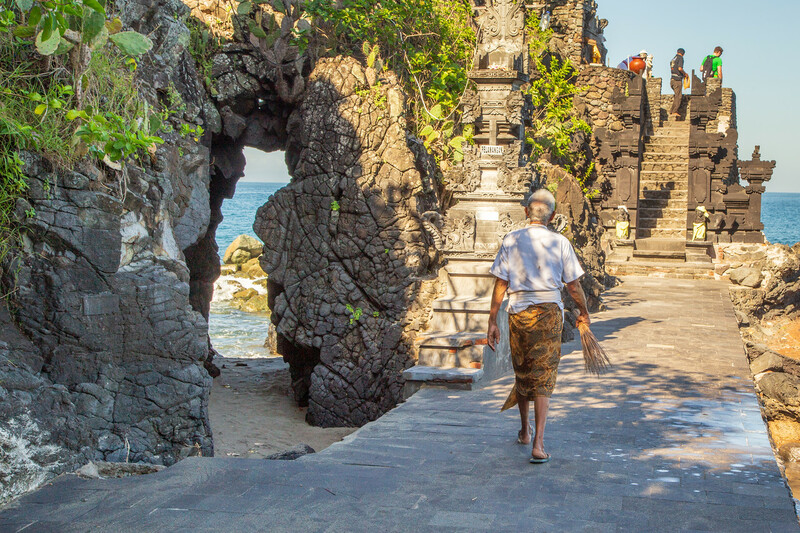 The rocks under Batu Bolong Temple have a natural hole, hence the name Batu Balong which when translated means rock with a hole. It’s a beautiful place to visit especially at sunset. 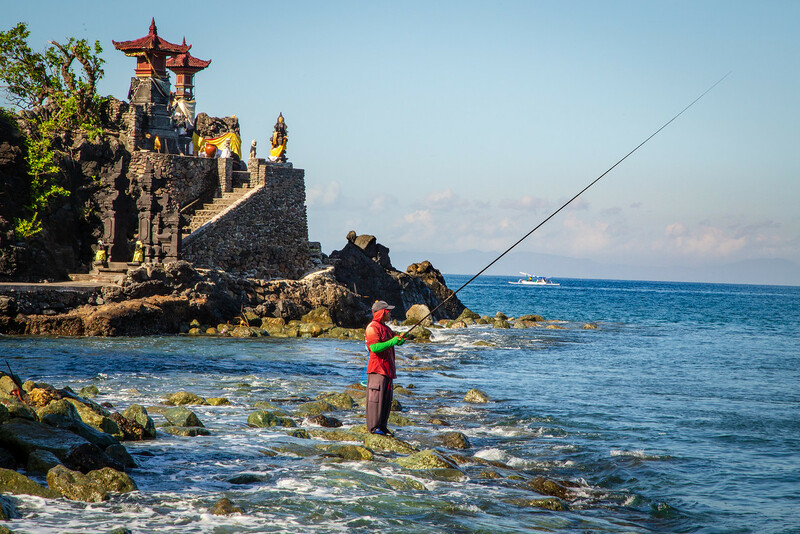 You can also observe the locals leaving offerings at the pagodas and 14 altars and watch the local fishermen at work. The temple is a holy place, you will need to wear a sarong. If you don’t have one on you, it’s possible to rent or buy one close by. I made this photo with my Canon EOS 6D 20.2 MP DSLR and the Canon EF 24-105mm f/4 L IS USM Lens.